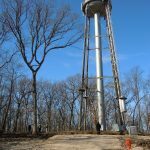 The City of Madison Water Utility set out with a complex goal in mind – to convert a 55,000 gallon water tower into one that could provide 1.3 million gallons of water storage for multiple pressure zones. Additionally, one portion of this was needed for constant residential usage while the other was for fire emergencies only. This was a massive expansion which was compounded by the need to stay on a similar footprint to the old structure. Short Elliott Hendrickson stepped up with multiple design alternatives. Since any solution needed to feed two different pressure zones, the design team knew that there would either be multiple structures or a single segemented tower. In the end, a single tower with two zones reduced operational costs by 20 percent over the lifecycle and reduced the footprint of the overall project. 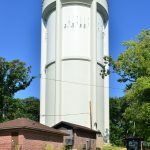 This is the first dual zone water tower in Wisconsin and one of only a handful in the United States. Part of the design constraints were working with the various stakeholders. Telecoms systems hosted on the old structure needed to be maintained. The design team worked with nearby residents and the Friends of Lake View Park organization to minimize construction disturbances and create a structure with an appealing aesthetic. On top of that, there were additional design restrictions because of the nearby airport and FAA rules. 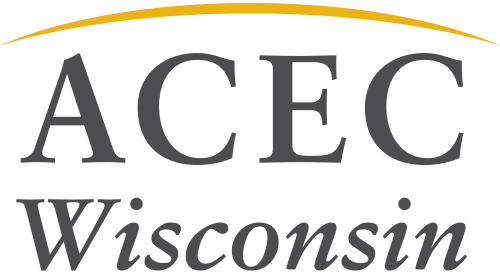 Being the first of its kind in the state, Short Elliott Hendrickson defined innovation with its design all while effectively collaborating with multiple stakeholders. What was once a water tower that fed a single hospital has now become a a dual zone plant providing improved service for both a growing neighborhood and emergency response.